2. Our products are made by high quality wood or metal materials which have the inspection certificate. 4. We have a enthusiastic pre-sales and after-sales service team to serve customers better. 7. Our products win the satisfaction of the customers from all over the world. Customer Reference Up to now, our products are sold not only in the domestic market, but also popular in North America, West Europe and Asia etc. 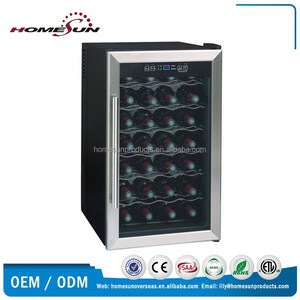 Q2: What is your main products9 A: Our main products include Minibar, wine cooler, hotel safe, and the products from HOMESUN are suitable for hotel room, home, office and so on. Our main business is OEM production, we can make and print your logo on your products and package when the quantity reached our MOQ. 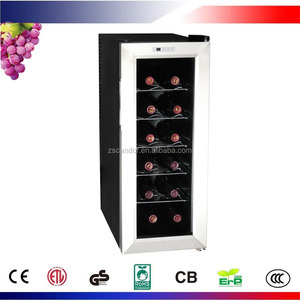 Red wine cellar/Bar Top Fridge/Bar Chiller. 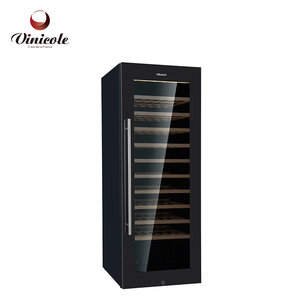 Model: ST-33AW wine cooler Unit size(mm): 355*480*503 Packing size (mm): 411*520*555 Temperature range(&#8451;): 10~18&#8451; For wine bottle(bottle): 12 Capacity(L): 33L Voltage: 50W N.W. (kg): 45kg We are provide custom-made service for the power supply, plug, color, size, style, etc. 3.Q:What is the delivery time9 A: It takes about 7~25 days usually after receipt of your deposit. 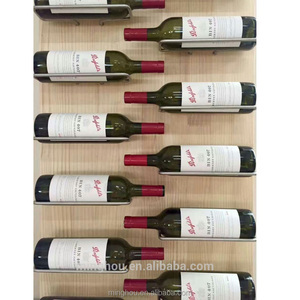 2 YRS Foshan Da Hong Lu Fine Stainless Steel Co., Ltd.
Alibaba.com offers 2,145 steel cellar products. 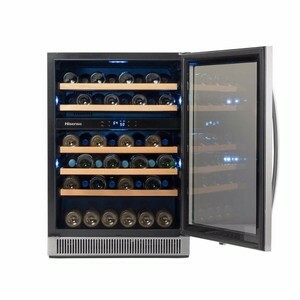 About 34% of these are wine refrigerators, 7% are display racks. 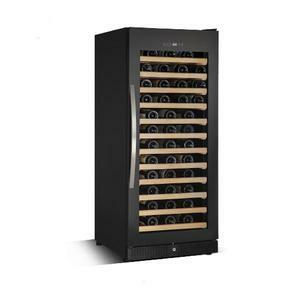 A wide variety of steel cellar options are available to you, such as ce, cb. You can also choose from freestanding, built-in, and mini. As well as from single-zone, dual-zone, and multi-zone. 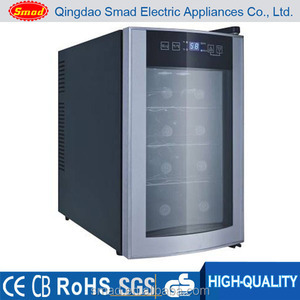 And whether steel cellar is thermoelectric refrigerator, or compressor refrigerator. There are 2,145 steel cellar suppliers, mainly located in Asia. The top supplying country is China (Mainland), which supply 100% of steel cellar respectively. 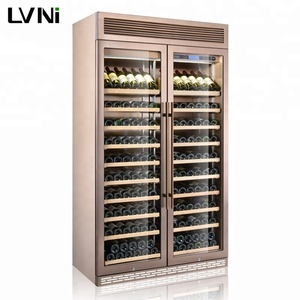 Steel cellar products are most popular in North America, Western Europe, and Domestic Market. You can ensure product safety by selecting from certified suppliers, including 580 with ISO9001, 177 with ISO14001, and 133 with Other certification.